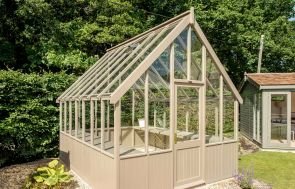 The Greenhouse measures 2.4 x 3.0m and boasts two automatic-opening, temperature-controlled roof vents to ensure that all contents are kept comfortable whatever the weather. 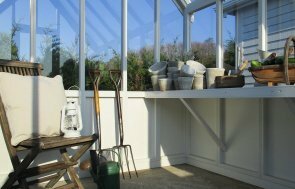 It is also an option to add a slatted workbench into the building so that there are further storage and shelving options. 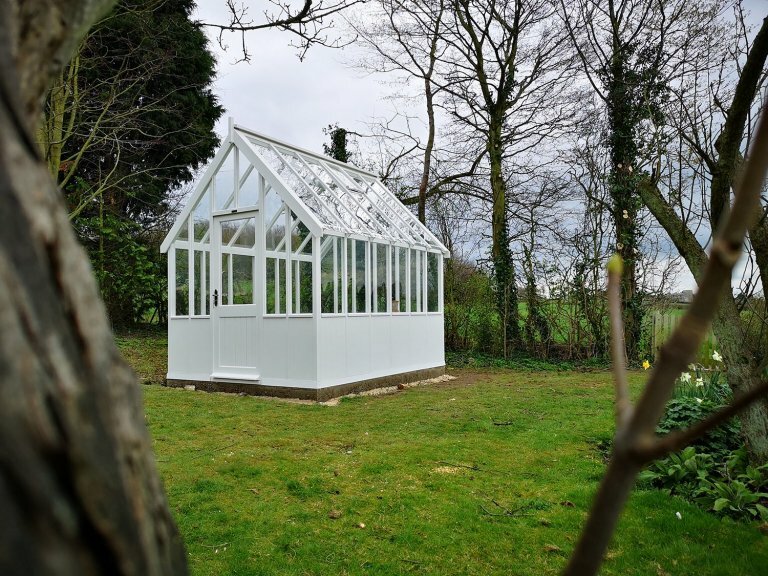 Another customisable feature of our Greenhouses is the paint colour, which is selected by our customers from our vast range of paints, including a Farrow & Ball palette and truly bespoke colour-matching service. Here they chose the distinctive and tasteful shade of Ivory, which looks absolutely stunning in their garden. 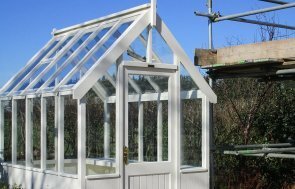 Available in a range of different sizes, our Greenhouses can be viewed at our various different UK show sites, where there is up to 25 different display buildings and a team of friendly advisors on hand to help. You can locate your nearest show centre here, or instead by getting in touch with us on 01760 444229.